Tourism and adventure sports in Patagonia Argentina for families & friends. The first thing we recommend to all those who want to go to Patagonia, in the Argentine South, is to make the reservation of all the activities of interest before making the trip, or previously, since in several cases, tourists from different parts Of the world arrive until Patagonia with a programmed flight, thinking that they will be able to buy the different activities during the week in which they are going to visit the Patagonia, or even, directly, they want to realize the activity to realize it that same day, and they take To the surprise of not being able to carry out any activity of interest. During the season it is very easy that the demand exceeds the supply since the vast majority of activities have a maximum quota to prevent large numbers of people to carry out, to preserve the environment and to let go and feel part of the immensity of the ecosystem Spectacular that offers the Patagonia and thus have an exclusive experience. El Calafate Mountain Park is an activity center that offers activities both in summer and in winter. This type of activities are ideal for all those who want to do adventure sports, in family, with friends and work groups. This center allows you in the Cerro Huyliche, to carry out snow activities during the winter, and in 4×4 and quads during the summer, to have the possibility to walk in Kayak between glaciers and ice floes in Lake Argentino and to practice rafting in the Rio de las Vueltas In El Chaltén. The summer programs offered by Calafate Mountain Park are ideal for the arrival and departure days of the passengers in El Calafate, since they are activities that last between 3 and 4 hours. They are performed in all-terrain vehicles (trekkers or Land Rovers), accompanied by drivers / bilingual guides. Within the CMP runs our Bike Park that proposes different circuits according to tastes, degree of difficulty and age. All activities are carried out in Cerro Huyliche, at 1050 m.
On the other hand, our excursion called Upsala Kayak Experience offers the possibility of kayaking between icebergs. A unique experience that is realized in very few places of the world. Full day excursion that does not require previous experience in the activity, which has permanent assistance of professional guides. The Upsala Kayak Experience is a unique sensation in life. 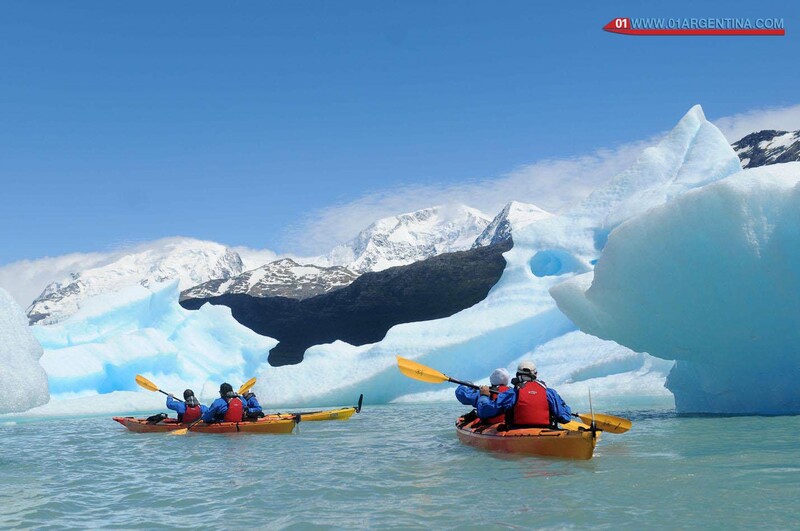 In it you can have the opportunity to carry out a great activity as is the kayak accompanied by a natural environment that will leave you breathless, composed of majestic blocks of ice that break and remain floating along Lake Argentino showing its different ranges of blue and White, and you will hear the creaking of the big icebergs and. The Upsala Glacier is the second largest Iceberg in Argentina and is located in the Glacier National Park. The Upsala Glacier is one of the most important in the Los Glaciares National Park, and the second in size in Argentina. It has an area of approximately 850 km2, and the height of its front reaches up to 60 meters above sea level. Its main front, previously visited by the navigation through the Upsala Channel, was several years without being able to be observed, due to the great number of icebergs that prevented the access to this channel. The Upsala Glacier is famous worldwide for the huge amount of huge blocks of ice that break and are afloat. You will be able to see the icebergs that float like giant ice floes in the waters of Lake Argentino, and that are grouped with each other. The Upsala Kayak Experience program is fully realized in the Upsala channel of Lake Argentino and allows you to navigate in double crossing kayaks with the possibility of seeing giant Icebergs, always following all the security protocols. 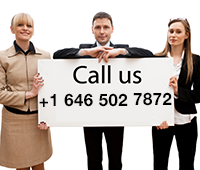 This is a tour with professional guides and small groups of passengers. The guided kayak excursion in Patagonia has a duration of approximately 2 hours, the same will be of paleo slow and adapted to the level of the group and the conditions of the environment. During the journey you will be able to observe representative species of fauna and flora of the area (condors, eagles, wild cows, ñires, lengas) as well as passing very close to numerous cliffs and great mountains. The national park Los Glaciares, is an Argentine national park that extends on 726 927 ha located to the southwest of the province of Santa Cruz. It was created in 1937 to preserve an extensive area of inland ice, Andean mountains, cold forests, glaciers and large lakes of glacial origin. Due to its spectacular beauty, glaciological and geomorphological interest, and part of its endangered fauna, UNESCO declared it “Heritage of Humanity” in 1981, forming one of the nine of its country. It is the most western Argentine national park of the country. Full Day Rafting, held in Santa Cruz, in the town of El Chaltén. This activity is developed in the River of the Vueltas, who realize it can contemplate the whitish color of the water of the same, as a consequence of the glacier origin of its tributaries. During the tour you will have time to familiarize yourself with the handling of the raft, learn the technique and use of the equipment, first with a theoretical class and then practice in the river in a very quiet area, another time to enjoy and Feel the Adrenaline of the fast winding, and at the same time learn to work as a team to reach the destination and the last time to enjoy the landscape that surrounds us, along the calm waters of the final section of the tour. The Chaltén is a municipality in the west of the province of Santa Cruz, Argentina. It is located in the south of the Andes, in the extreme southwest of the Argentine Patagonia, at the foot of Mount Fitz Roy – or Chaltén – and on the banks of the River of the Vueltas. It is a small tourist village founded in the National Park Los Glaciares. In October 2014, El Chaltén was ranked second in ranking of the “best cities in the world to know” Lonely Planet travel guide to publish in 2015. The city only had ahead of Washington DC, ranking first Both from Argentina and Latin America. The Balcones del Calafate is an imposing natural viewpoint that will allow you, from the heights, to have a panoramic view of El Calafate, Lake Argentino, the Andes Mountain Range, and if weather conditions allow, Cerro Fitz Roy and The Cerro Torre, in El Chaltén. In addition you can have the luck to spot condors, characteristic of the area. To this spectacular place can travel and enter the nature in a tour in 4×4 or quadricycles (quads). In both you will have the opportunity to stop at the base of Cerro Huyliche, in a shelter, to delight dishes typical of the area. All these activities have highly experienced guides that will accompany you at all times, receive a theoretical and practical training, and will also have specially designed equipment for each activity you do, ensuring your safety and comfort. The three most important tourist destinations in Patagonia Argentina. Wine Route of Patagonia and Paleontological experience.